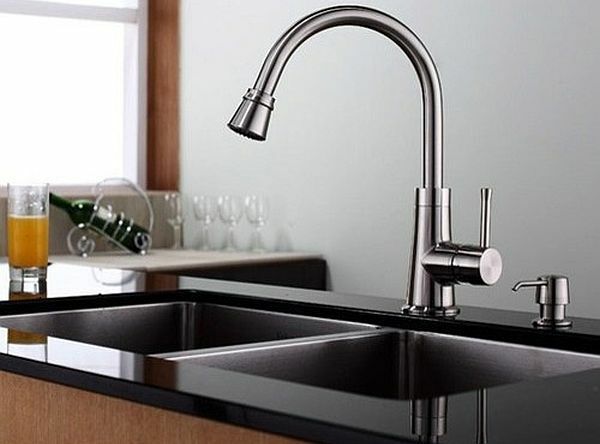 Adding an ideal kitchen faucet soap dispenser in your kitchen sink space is indeed essential. This will make hand washing a breeze. It has become a common practice today in installing hand or dish soap dispenser, especially at the top of your kitchen sink. Installing this is both a matter of functional beauty and practicality. 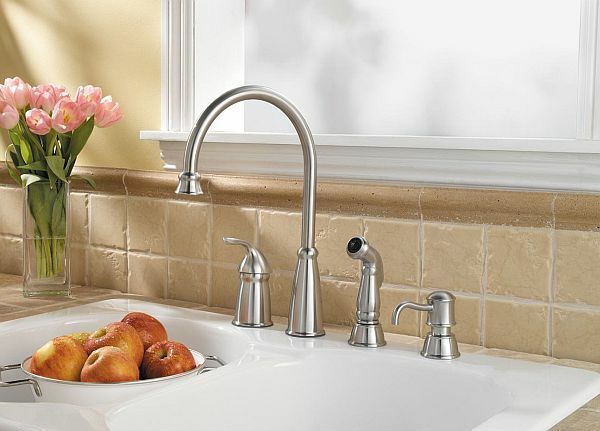 Kitchen faucet soap dispensers are available in a wide array of styles and materials and have successfully stepped in the epoch of ornate beauty. Installing the kitchen faucet soap dispenser in your kitchen fortunately is an easy DIY project. 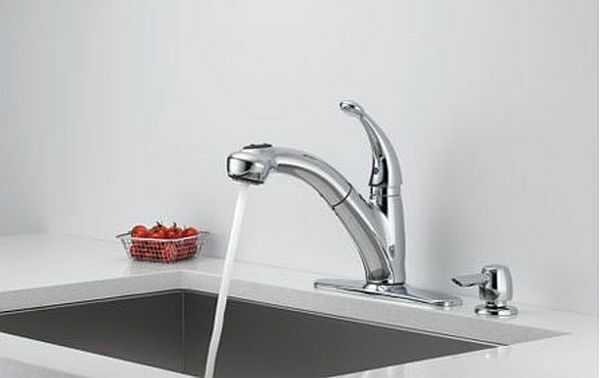 Most importantly, ensure that there is a sink in your kitchen with sufficient holes in it for accommodating a dispenser. Generally, a sink having four holes is utilized for the purpose. The following steps will throw light on the installation procedure. First, place the escutcheon and top pump on the upper side of your sink either with the rubber washer or foam it came with for sealing the top section. As the second step, ensure the soap dispenser is centered. Often it happens that the hole is bigger than the soap dispenser’s housing, thereby giving you the flexibility of centering it as per your choice. For the next step, install the nut from below the sink and tighten this for keeping it in place. Prior to tightening all the way ensure the soap dispenser’s position above the sink. With the help of a basin wrench or pair of pliers slightly tighten it further than hand tight. Screw the soap bottle that came with the soap dispenser carefully onto the housing under the sink, which requires less than the hand tight. Finally, you can fill your dispenser with soap via lifting it straight up towards the soap pump for removing it, thereby helping pour the soap from the top. If needed, you can utilize a small funnel in getting the soap easily in the opening. You will be required to drill a hole for the soap dispenser, especially if you have a sprayer hose placed adjacent to your faucet. For this you may have to take the help of a professional. If the pump is clogged, try pumping the hot water via it many times for de-clogging it or try soaking it in hot water. 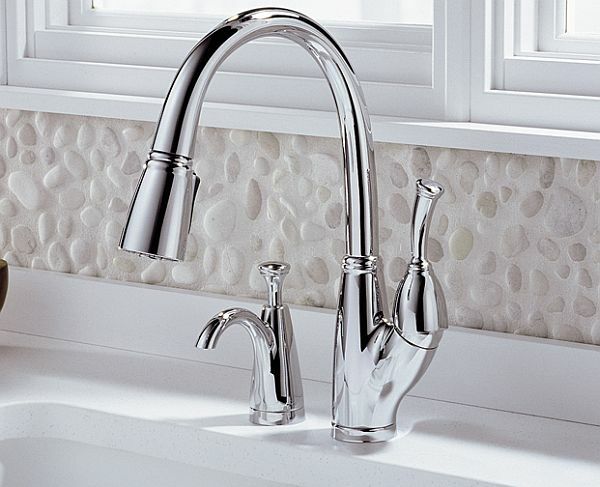 Installing the kitchen faucet soap dispenser is not as daunting a task as you may think. Simply follow these tips attentively and try it for yourself.